DNS refers to the Domain Name System. If you are a website admin sometime you may face DNS error on your site. The reason for this error can be related to domain or hosting. 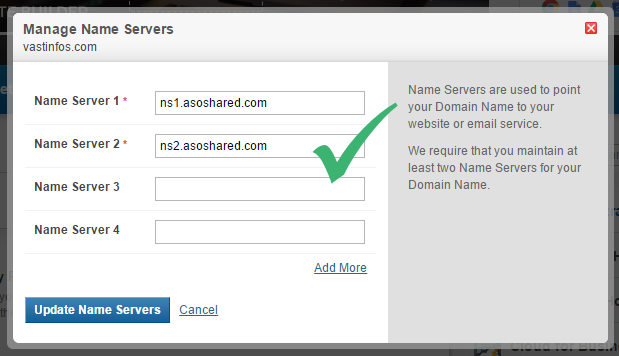 If you have n’t properly pointed your domain name to the corresponding hosting server, the DNS error occurs. 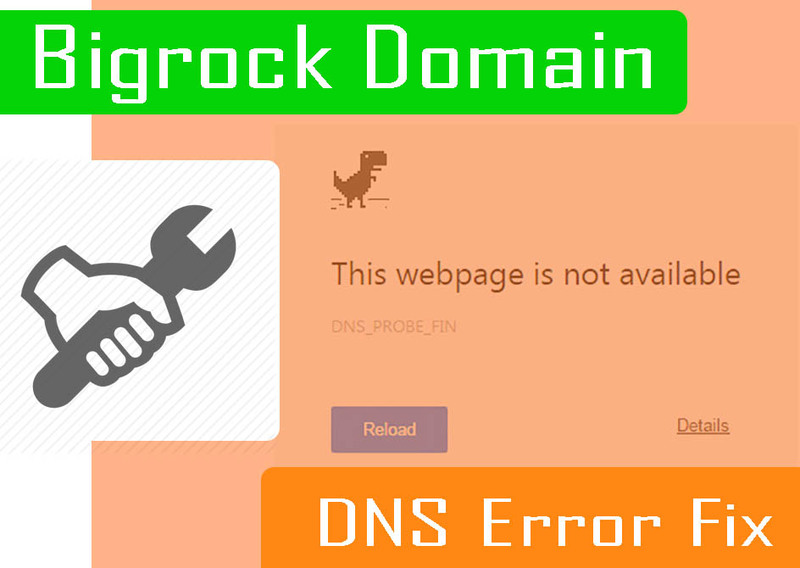 This post is on Bigrock domain DNS error fixing tips. Recently while migrating my domain and hosting, I faced a DNS error for my domain and subdomains. My sites went on down and up. It has n’t gone permanently down but frequently goes down for few mins or hours. The error shown was DNS error. My domain was on Bigrock and hosting is on AsmallOrange (ASO). I used ASO name servers to connect big rock domain to ASO hosting server. 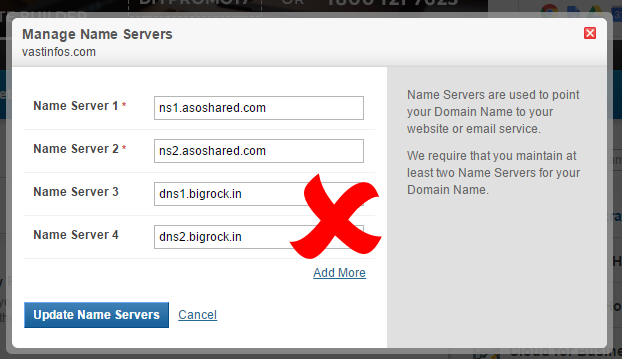 What I had done was replacing the first two name server of default big rock with the 2 name servers ASO provided. But this was a mistake. I haven’t cleared the rest of default name servers by Bigrock. So the first 2 ASO name servers and last 2 Bigrock default name servers, which caused conflict. The conflict in determining the correct server address, whether its ASO server or Bigrock default one. This caused the DNS Error. So the right method for adding name servers is clearing all the default Name Servers and using the correct Name servers provided by your hosting provider. If you had similar DNS error try clearing all default Name Servers and use the correct Name Servers of the server. Thus get rid of the ambiguity of server connection and avoid the DNS error. Hope this post related to the DNS error may be helpful for you.